Our guide to Claw Foot Tubs offers detailed descriptions of companies such as St. Thomas Creations and Handcrafted Metal, Inc..
You'll find Sign of the Crab's extensive and well-regarded line of faucets and plumbing fixtures for sale at many hardware stores, online catalogs and even majob retailers. The company is an importer and manufacturer of brass faucets and plumbing, including fittings for claw foot tubs. Champagne tub provides a relaxing, effervescent soak. 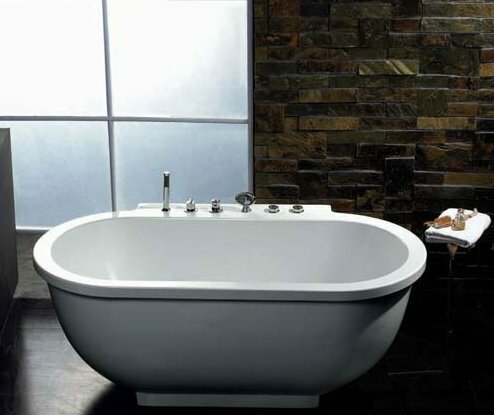 Freestyle tub combines classic styling with modern whirlpool features.